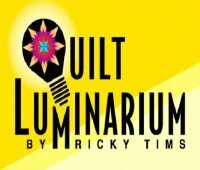 Heirloom Elegance thinks good things bear repeating and that's why we're sending you a reminder about the all-new Quilt Luminarium coming to South Padre Island, TX on January 28-29, 2018. THERE'S STILL SPACE AVAILABLE and you might not want to miss this unique two- day event. Check out the details in the attachment to this email! Space is limited so you’ll want to sign up soon!